I’ve been beyond excited for Gloria Chao’s upcoming YA book American Panda. Set at MIT, American Panda follows Mei, a Taiwanese American college freshman who’s set to follow her parents’ plan for her to become a doctor, marry the right guy, and have kids — but life, love, and her own dreams get in the way. As a Taiwanese American, I’m of course psyched for more Taiwanese representation in YA, and can’t wait to read the book when it comes out February 6th. Today, here is Gloria Chao to talk about her new book! Just this summer, Want by Cindy Pon, a sci-fi thriller set in Taipei, was released. Now half a year later, American Panda is weeks away from joining the few and proud ranks of YA books starring a Taiwanese protagonist. Who is your intended audience for American Panda? How did you go about writing your book and its portrayal of life as a Taiwanese American for that audience? I am so honored to join the proud ranks of YA books starring Taiwanese protagonists, and I’m so grateful to be a part of Jennifer Ung’s fabulous list, which includes Cindy Pon and Sandhya Menon. My intended audience for American Panda is anyone who is struggling with who they are and where they belong. I believe that the book’s themes of not fitting in and searching for your path is universal, but I also think it will particularly resonate with child of immigrants who grew up with parents similar to mine. I wrote this book with the goal of capturing an honest portrayal of one Taiwanese American experience: mine. I wrote for me in the initial drafts so that I could get my story down, and then I let the industry and readers in during revisions. Did you have a central theme or message in mind when you were writing American Panda? Can you tell us what it is? I wrote the book I wish I had as a teen, and I wrote hoping to show teens they aren’t alone. I was too embarrassed to tell my friends in high school about my struggles with the cultural gap, and I hope this book will show those readers that their struggle is real and that it can get better. Not many YA books are set in college. Why did you choose college, and specifically MIT, for Mei’s story? Mei’s story needed to be set in college because she had to be out of her parents’ house to start asking herself what she thinks and what she wants. My own personal self-discovery happened in college, and I felt that setting was the right place for Mei to find herself as well. MIT is my alma mater and I wanted to capture its unique, supportive, and zany community, where being a nerd is lauded and weekends are spent chair surfing, climbing on the dome, and yelling at the movie projector in lecture halls. Since MIT is a place where students can be themselves, it was the perfect place for Mei to learn who that was. Aw, you got me right in the college nostalgia feels. 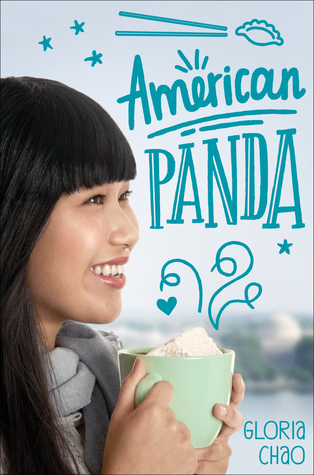 So, the cover of American Panda is adorable, and features dumplings which is at least 40% of its charm. What’s your favorite type of dumpling? I haven’t met a dumpling I didn’t like, but if I had to choose a favorite, I would go with the soup dumplings from Din Tai Fung. They have some fancy ones with shrimp and crab, but their plain soup dumplings are the standard-bearer. Truth. Do you have another book or project brewing? Yes! I’m thrilled to be working with Jen and Pulse again. My second book, Misaligned, will release fall 2019 and follows a Taiwanese teen outcast in a small, white Midwestern town. When a second Asian family (including an attractive boy her age) moves to her town, she is swept up in a forbidden romance and down a rabbit hole of dark family secrets. The book explores race, identity, and the difficulty of communicating, especially within family. Eep! Can’t wait to learn more about Misaligned! And finally, we always ask this question at Rich in Color. What upcoming YA books by/about people of color are you excited for? Share your list with us! I am delighted to say there are many upcoming YA books by/about people of color that I am excited for! My list includes but is not limited to (in no particular order): The Astonishing Color of After by Emily X.R. Pan, Tyler Johnson Was Here by Jay Coles, The Belles by Dhonielle Clayton, Children of Blood and Bone by Tomi Adeyemi, From Twinkle, With Love by Sandhya Menon, Summer Blue Bird by Akemi Dawn Bowman, Picture Us In The Light by Kelly Loy Gilbert, Dread Nation by Justina Ireland, A Girl Like That by Tanaz Bhathena, The Way You Make Me Feel by Maurene Goo, and A Thousand Beginnings and Endings by Ellen Oh and Elsie Chapman. That’s quite the list. *Takes notes. * Thank you so much for stopping by! For those of you reading along, be sure to grab American Panda when it comes out on February 6th! Gloria Chao is an MIT grad turned dentist turned writer. She currently lives in Chicago with her ever-supportive husband, for whom she became a nine-hole golfer (sometimes seven). She is always up for cooperative board games, Dance Dance Revolution, or soup dumplings. She was also once a black belt in kung-fu and a competitive dancer, but that side of her was drilled and suctioned out. American Panda is her debut novel, and Misaligned is forthcoming fall 2019. 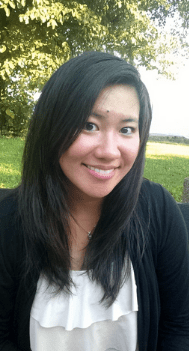 Visit her tea and-book-filled world at gloriachao.wordpress.com and find her on Twitter and Instagram @gloriacchao.